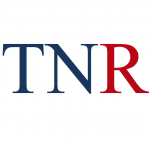 Editor’s note: This commentary is by Senate Minority Leader Joe Benning, R-Caledonia. In 1969, in a place far away, a young student in Mrs. Nelson’s sixth grade class wandered the school library in search of a book. The assignment was to make a book report. Most of his classmates searched the current events section. The Vietnam War, race riots, the assassinations of Robert Kennedy and Martin Luther King, Jr., and man’s first moon landing provided plenty for inspiration. But this particular student, born 15 years to the day after Pearl Harbor, preferred history. In the dark and dusty rows describing America’s growth, a bright orange book stood out. It was a fictional history on the life of Ethan Allen. It portrayed Allen growing up as fiercely independent, self-reliant, loyal to his friends, kind to those in need, frugal, and quick to challenge things he found unjust. 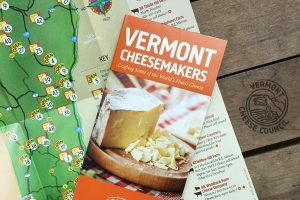 His drive to create a place of like-minded individuals, now called “Vermont,” sparked a yearning to learn more. It was the most life-transforming book I’ve ever read. I swallowed Vermont hook, line and sinker. 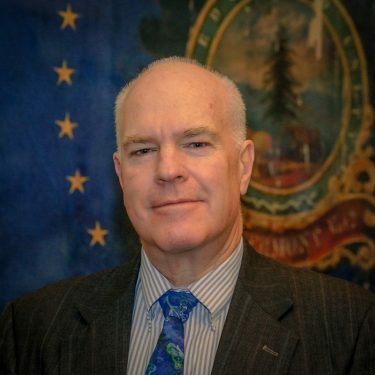 Vermont State Sen. Graham Stiles Newell subsequently introduced me to a Statehouse dominated by Republicans who mirrored what I’d been learning about. People like John Boylan, Walter Kennedy, Cola Hudson, Leland Simpson, Bill Doyle, Bob Gannett, Chuck Gibson, Thomas Crowley, Robert Bloomer and Gerald Morse. They worked with young idealists like Madeleine Kunin and blue-dog Democrats like Francis Howrigan, but when differences arose they held their ground with civility and respect. A Democrat/Progressive machine, now under siege from an unprecedented number of special interest groups, currently dominates our Statehouse. Evidence is mounting that attention is being diverted from basic responsibilities. Witness the deterioration of small towns, shuttered businesses along the Connecticut River, lost millions in tax dollars chasing unattainable proposals, a 25 percent loss in home child care capacity from onerous regulations, a bond rating downgrade as rising pension liabilities meet a shrinking work force, parents and taxpayers feeling disenfranchised from their children’s school systems. A growing divide between rural and urban Vermonters, rich and poor, employers and employees, different factions of environmentalists, and native Vermonters and newcomers, suggests Vermont desperately needs a counter balance. The Vermont Republican Party can be that counter weight, but only with a sufficient number of legislators elected to provide it. That will require a sufficient number of Vermonters willing to cast their votes in our direction. But surveys show the majority of Vermonters reject the image of hate, bigotry and nationalistic paranoia that many attribute to the national party. They will never rally around candidates spewing doom and gloom with words like “libtard, snowflake or democRAT” to define the other side. We clearly have work to do. We should start by remembering who we are. Our party was born to eliminate slavery and hold a divided Union together. Our state party platform offers a stabilizing rudder in stormy policy seas. We produce statesmen like George Aiken. We recall with pride the courageous moral character of Ralph Flanders, standing up in a time of national hysteria against the Red Scare of McCarthyism. We cherish leaders with great business acumen, like Richard Snelling, Jim Douglas and Phil Scott. We championed gender inclusion with the nation’s first elected female lieutenant governor: Consuelo Bailey. The integrity of Ernest Gibson, Barbara Snelling, John Bloomer, John Carroll, Diane Snelling and Robert Ide still exists within our ranks. Vermont Republicans believe in the concepts of individual liberty, personal responsibility, a government limited by constitutional parameters and a tax burden that doesn’t outweigh the ability of citizens to earn a good living. We have a responsibility to help those in need, but don’t wish to create a populace that constantly depends on government. We adhere to the principles of justice, moderation, industry and frugality as set forth in our State Constitution. We believe our environment is critical, and point to Republicans like Deane Davis and Jim Jeffords who never wavered in protecting it. We believe our future depends completely on a strong educational system, and point to Republicans like Bob Stafford and Justin Morrill who had the vision to understand that. I cling to the hope that we can regain the trust of Vermonters by standing for these principles. Mrs. Nelson, God rest your soul, I believe that completes my book report. I see the Republican Party in Vermont as divided between those who still stand for the traditional values of “individual liberty, personal responsibility, a government limited by constitutional parameters and a tax burden that doesn’t outweigh the ability of citizens to earn a good living”, and those who feel they need to water down the message in order to get elected and re-elected. Many true conservatives have become discouraged, and many voters seem unwilling to get involved. Somehow, we need to unite behind a strong, constitutionally-based platform and effectively communicate its merits to the general public, above all of the noise from the other side. Then we need to recruit and support good candidates who will run on that platform, and not buckle under pressure once elected. It will not be easy, but is hopefully still possible. In Vermont, there isn’t much of a difference between the Republicans and Democrats. Until republicans can offer voters a REAL alternative, change isn’t about to happen. We pay our conservative representatives a lot of money, a nice pension and free healthcare for them and their families for life to think outside the box (to use a trite expression) to write, submit and ensure passage of legislation that will allow Vermonters from all counties the access to opportunities that are so prevalent everywhere else. I’m talking about fundamental changes to everything liberal ideology has created from cradle to grave. The VT culture Sen Benning so wistfully refers to, i.e. what Vermont Strong was really about in the ‘good ole days,’ was stole from us by the early progressives like Bernie who out-thought and out-hustled his conservative adversaries by claiming the people deserved more from their government that was run by the fat cat, country club republicans. Well, look what half a century of liberal dominance has wrought us. People are addicted to government largesse just like Bernie envisioned. So… how, when and where does it all change? We need our conservative leadership to first admit that strategies and tactics employed thus far haven’t done the job. You have to figure out what a winning marketing campaign looks like and how to connect that with every voter. Its the real job of politicians. That’s why we entrust our lives to those we elect. Good piece Mr Benning. I believe one of the biggest problems facing Vermonts future is the relationship between Vt democrats and the powerful public education monopoly. Children are indoctrinated at a young age. The teachers union hands its wish list to the democrats, the democrats create rules and regulations that favor union jobs, the democrats receive promised votes and campaign cash. Many of our appointed and elected officials are merely teachers union puppets. Take a close look at the Vt board of education, it’s infested with union reps including Will Mathis, he’s openly employed and paid by a Colorado based, teachers union funded organization. Time for Vermonters to demand an end to this cozy arrangement. The public education monopoly has created a self serving false narrative. Do what was done in TN when the Democrats controlled the legislature. Some very hard working people when to the counties and helped organize precint meetings and voter registration. It took years but it paid off. Elect good leaders at the county level and don’t let Rino’s control the party. Thank you Joe Benning for starting the conversation. Thank you also for your strong leadership in the Senate. Ever so important this term. Republicans can dish out blame but what we really need to do is work together. There are lots of good ideas out there but we really need a dynamic leadership team willing to extend monthly, weekly, daily to all Vermonters. To knit together a cohesive team to proselytize the good ideas expressed above into a winning team. Sen Benning, since you choose now to address the importance of a counter weight to the status quo, why not actually walk the walk? Why not assemble a coalition of the strong conservative voices you mention and show the State (and the other 49) that VT conservatism is alive and well? Organize a road-show, town to town, and speak loudly and clearly about what has happened under Progressive leadership. Describe in detail, with local testimonials, about the negative, ruinous and demoralizing consequences their policies have had. If you truly believe the way you come across, then make it happen, and make it personal and passionate. Let me know what I can to help! A party whose goal is only to win elections is a lost party. Changing to adapt to a current circumstance while ignoring our beliefs and principles is a good indication we perhaps have no understanding of what we are trying to achieve other than winning. If the electorate does not understand our message we must educate them, not just succumb to their understanding. However, the greatest threat to Vermont today is not that the electorate does not hear or understand our message; it is rather that our message does not address that threat by engaging it. There is a clear and present danger to Vermont, our country and our way of life, UN Agendas 21 & 2030 are here in our state and have been for some time. It is concealed in plain sight under our very noses, yet some of us who see this threat continue to pretend it is not here. Perhaps it is easier to change our belief system and continue trying to win elections than to make those unaware see the perils of this danger, but will winning an election even matter if we do not confront it? Over the last 50 years many incremental changes have been made to our government in Vermont that have allowed outside influence to gain significant control and advantage, while at the same time leaving our institutions in place, this was done by changing the structure of our governance to one that minimizes the voters consequential impact on decision making while maximizing the use of committees and boards to advantage special interests and their agendas. After the 2015 Paris accords, UN Agenda 2030 put the global initiatives into a full court press around the world and in Vermont. Most of the activism we are encountering to local municipalities comes from regional planning commissions but is also greatly enhanced by numerous nonprofits creating a web of entanglement that is almost impossible to escape or see by the unsuspecting public. Our communities are first solicited for their ideas, and then committees are formed to develop action items, next frenzy will ensue to bring the action to fruition. The scope of these initiatives is wide and overlapping and in time may have undesired implications in areas other than that for which they were first intended. We are rapidly becoming a government by committee activism under the false pretext these were the people’s ideas without really understanding who is steering these committees or where they are taking us. The relationship between local municipalities, regional planners and nonprofits is an unhealthy one that promotes committee driven agendas from outside our communities. It will not matter much if our party wins elections only to lose our Republic in the process; this threat must be publically exposed and targeted before winning can be meaningful! The Republicans ,most in elected office are but the opposite side of the same corrupt coin as RINO gov. Benedict Scott has proven. I don’t see supposed Republicans/Republican party making any head way until Constitutional conservatives can be found to represent the party. Ethan Allen was mentioned and from my reading/research of the man,he would fit that and did and the chips fall where they may ,the truth remains the truth. As a lifelong resident in the state of Vermont who has been voting since I was 18 years old I too am disappointed at some members of the Republican Party . However I must point out that these people I am disappointed with are more than likely not those you are disappointed with. Jim Jeffords was a turncoat to the Republican Party. He ran as a Republican and then shortly after he became a deserter and claimed to be a Democrat… it appears that we have too many Republicans willing to take that Avenue today. We have too many people just like Jim Jeffords on board today in the Republican Party. If you are a republican hold your head high and stand up for the Republican values. I do not agree with every single thing our president does nor do I agree with everything you do either Joe but I don’t tear either one of you apart because you both belong to the best party in the United States of America. Instead of tearing our good president apart it is time to defend him for the fine things he has done for this country and for his refusal to cave in and violate the laws of this country including the immigration laws. Donald Trump has done great things for America he has made us financially stable he has made safer by keeping out people wanting to do harm to Americans. He has increased jobs Across America I think he was that have actually helped the state of Vermont and now we turn our back on this man because the Socialists do not like him? If you are a member of the Republican party it’s time to grow a set and began to support this party across the board… if you are going to pick apart members of the GOP there are plenty right here in the state of Vermont serving in the current government that you could begin with! I want to know anyone can defend violating the laws of the United States of America in the state of Vermont. We do not elect anyone to office to violate the people that live in this state or across this country. When we elect people to office we expect them to honor our Constitution and our beliefs in America. It is time for members of the GOP to look in the mirror and ask themselves am I doing the best job I can do for the GOP or am I caving in because I don’t have guts enough to stand up for what is right and what Americans believe in. This is no time to be pointing the finger at anyone! It is a time for the GOP to pull together and support those that have done one hell of a job to try to get people elected to office with very little help. Stop blaming leadership because voters are two lax to get out and vote. There were many people involved in helping candidates and pushing people to vote. Many people donated money to help the candidates. Let’s remember Joe we don’t have people like Michael Bloomberg and George Soros contributing to our candidates. We don’t have a lobbyists donating money to us to guide us along their path. Do you truly believe that bashing our president is going to bring money from our federal government into the state of Vermont to help the GOP? If You Do You Believe In Unicorns too. The damage that has been done to the Republican party at the hands of those so willing to bash it and its leadership have now helped some morons who believe that creating a third-party called The Green Mountain party is going to cure the problems in this state. The Green Mountain party will only help to bury us further under socialism. This is all very divisive and it needs to stop. It should have never been made public and we should support everyone including the current leadership to get together and get the voters together and support the GOP which is the best party in America that provides the best support for the American people. I have to question the goals of some who would go out on a limb to destroy the very party they belong to. If there are people that should be contributing to keep this party alive and they really care about our country they need to get off their Duff and do it! Let’s not forget our forefathers who we constantly quote.. who fought a war to make us what we are… they fought through terrible conditions and against terrible odds but the difference between them and many and government now is they had a set and they never gave up. Let’s all get together and resolve these issues without pointing the finger because everyone is at fault here including those that have been elected to serve us under the golden dome down to the very voters who refused to go out and vote in this past election that allowed this kind of crap to take place. This is the time for Unity and if anyone is a leader it’s time for you to lead. 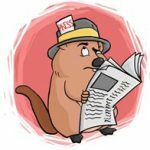 I would encourage everyone that is interested in saving our state from complete disaster to encourage your family your friends your neighbors and anyone you come in contact with to inform them about politics in the state of Vermont and the importance that their vote has in affecting what happens to this state. Vermonters need to sense that the Republican Party stands for things and is not just a “counter weight” to the liberal Democrat agenda. Before Vermonters will be willing to support the Republican Party, they need to understand and believe that, if elected, Republican candidates will stand united and return frugality and moderation to the State House (two word) while protecting the vulnerable citizens among us, revitalizing Vermont values including community governance of local affairs and protecting our beauty and natural resources so important to all Vermonters – both today and in the future. You mentioned those who call out and attach derisive labels to the opposition, while this is not an admirable quality by any means; more troubling and problematic is the fact the many Republicans do the exact same thing when referring to fellow Republicans who they view as more conservative or more liberal then themselves. Republican will never again be the party of the “big tent” as long as the admission gate appears so narrow and restrictive. This past election cycle, many new aspirants attempted to become engaged and involved in the Republican Party and most felt they were greeted with the sound of “one hand clapping !” They found little or no resources beyond what they could muster themselves and no encouragement to fight the good fight, beyond their families and friends. I will not call out any individuals here, as there is plenty of blame to pass around – suffice to say if the Republican Party cannot rise above the pettiness and personalities of the past to pursue the substantial and substantive issues we all have in common – victory will be forever illusive ! This weekend, the Republican State Committee will have its first opportunity to chart its course for the next election cycle, the question is “whether the party members will continue on the current unproductive direction OR steer the ship back to the familiar waters of congeniality and comradery seeking prosperity, individuality and self-sufficiency. We need serious, positive people that are going to work together with open minds to fix this 25 year GOP leadership created problem. 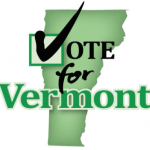 Fringe groups like: Vermonters for Vermont; Vermonters for Trump; Vermonters for HC Freedom; Vermont Gun Owners; School Choice Groups’ Green Mtn. Republicans and others to take the bull by the horns and fix this mess in concert with the VT GOP. Stay tuned for a solid action plan Joe! Informative commentary. Unfortunately much of the proud history of both the national and Vermont state Republican party has not been taught to the younger generation. Looking at the voting records of far too many Republican legislators I would say these folks were not taught that history either. I would disagree with Senator Benning in including Phil Scott as a great business leader, or any kind of leader at all. Those of us that truly “believe in the concepts of individual liberty, personal responsibility, a government limited by constitutional parameters” feel completely betrayed by Phil Scott. Phil has used ACT 46 as a hammer to pound rural Vermont into oblivion. The big promises of lower taxes and educational equity were just big lies. Phil signed S.55 into law, in direct violation of Article 16 of the Vermont Constitution. Those of us that are nervously awaiting the legislative juggernaut of the newly elected “progressive” legislature hold little hope that Phil would do anything to stop it, even if he could. That is exactly my thoughts and why I became fed up waiting for something to happen years ago. I saw no leadership in the Rep party in VT I felt it was just a matter of time before the legislature was taken back by the progressives. It’s been festering for some time and once the democrats and progressives figured out they couldn’t run against each other and win it was game over for the republicans in VT. The Rep. party has been holding on by a string since Douglass. Now this progressive house is going to do anything and everything they can do not only make Phil look bad, but to get everything they want after they felt strong armed by him last year. All I have to say is look out because now that the progressives are back in power they will stop at nothing to tarnish that “Nice Guy” look Phil has become known for over the years. He’s in for a rough two years Expect next cycle Zuckerman to run for gov, and probably win. Once that happens it’s game over for whomever is left after the dust settles. Sen. Joe Benning: Republicans can regain the trust of Vermonters ?? from the Liberal Democrats, very sad !! Republican ( dying breed ) ………….Liberals have ruined the state, it’s only getting worst !! You need to recoup your base ! !